When it comes to installing refractory, gypsum flooring or concrete for block fill, grouting or repair applications, you’re faced with challenges every day, some more significant than others. OSHA’s 2017 silica dust exposure requirements, for example, had a big impact on working environments with a 50 percent reduction in permissible exposure limits (PEL). The requirements also mandate employers monitor employee exposure to silica dust and report levels on a regular basis. 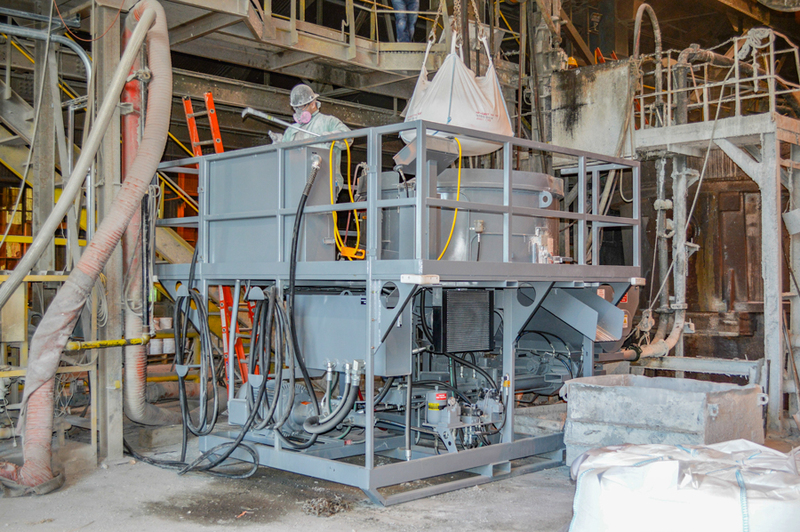 While the changes are big, there are simple and inexpensive solutions to meeting these requirements, such as the Blastcrete DustAway system. Just like the silica dust standards, safety and efficiency will continue to be key drivers for equipment designs as we look to the future. But what does that look like as new equipment takes shape? Machines that are easy and convenient to maintain will result in more efficiency and higher productivity. Features like hoppers that swing out give users easy access for cleaning and maintenance while modular, quick-change swing tube and rotor stator pumping elements reduce the threat of serious downtime. As the need for logistical control of material flow and availability grows, contractors increasingly turn to combination mixer/pump units. Mixer/pump combination machines eliminate the need for third-party ready-mix trucks and allow for the installer to be in complete control of their job. One unit that both mixes and pumps materials means less equipment on site and, therefore, less to purchase, transport and maintain. This equates to more uptime, fewer costs and less hassle — or as we like to call it, more profits. There is also comfort in knowing that your equipment provider remains on the leading edge of mixing and pumping technology. What’s even better is knowing you can rely on that supplier for unmatched, world-class customer support. How can we help your business thrive? Let us know.